A little while back, one of your colleagues came up with an idea for a University-run dog day care service for people to use while they were working on campus. The idea was then put to staff via a HearNow poll, which had one of the highest response rates to date, with 41% saying they would use the service, despite only 8% using a dog sitting service already. This demonstrated a real interest in the area, so it was investigated further. The next step was to consider the practicalities and feasibility of providing a University-run service. During this phase it was found that there were many regulatory and welfare issues that would need to be addressed to provide a good service on such as large scale, as well as significant infrastructure investment, and that there are already 3rd party providers in the area offering dog day care and walking services. Following this, it was decided that - although this was clearly a popular idea with staff - it was unfortunately not a service that the University could pursue due to regulatory restrictions, financial feasibility and practicality. 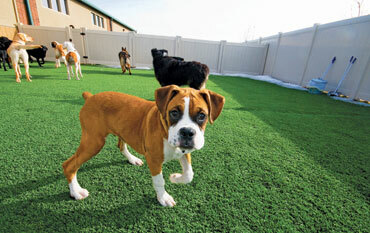 Dog day care was a tremendously popular idea. However, it goes to demonstrate that popularity doesn't guarantee feasibility sadly. It was still a really worthwhile process to look into this, and demonstrated how important it is to follow a robust investigation for new ideas and innovations. On this occasion the suggestion couldn't be pursued, but other ideas will be feasible, and people shouldn't be put off making suggestions for new services." Do you have an idea for a new service or product innovation? Go to the Ideas Space and share it with the Warwick community. What if... I had a great idea? Find out more about innovation management at Warwick here.